New year, new South Florida? Home sales were up in Miami-Dade, Broward and Palm Beach counties at the start of 2018, according to new reports from the Florida Realtors. Median prices were also on the rise. The higher sales figures follow a slow 2017. Despite an overall increasein residential dollar sales volume in South Florida’s three counties last year, the number of sales fell. Residential sales posted the biggest overall increase in the tri-county region, rising 5.3 percent year-over-year to 1,820 closings in January. Single-family home sales lagged behind condo and townhouse sales, increasing only 2.1 percent to 875. Condo sales rose 8.1 percent to 945. The median price for a house was $330,000 last month, up 6.5 percent from the previous year, and the median price for a condo was $230,000, an annual increase of about 3.5 percent. 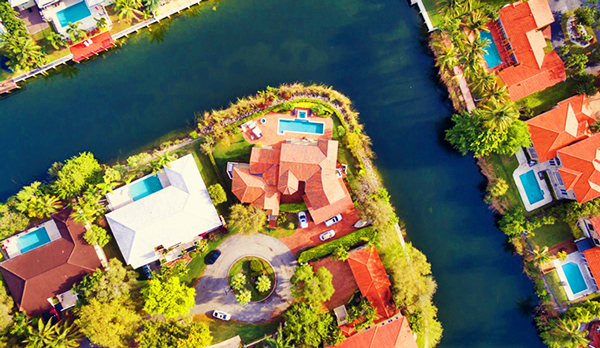 In Broward, residential sales totaled 2,146 in January, up 3.67 percent year-over-year. The increase is thanks to a big leap in condo sales and a slight drop in single-family home closings. Condo and townhouse sales rose 7.8 percent to 1,167, while three fewer houses sold, a 0.3 percent decline to 979 closings. The median price of a single family home increased 10.8 percent to $345,000, and the median price of a condo rose 8.8 percent to $156,000. The northernmost county experienced a smaller bump in residential sales in January. Closings increased only 1 percent to 2,014 due to a 3.8 percent drop in single-family home sales, which totaled 1,103 last month. Condos and townhouse sales lept 7.6 percent to 911 closings. But home prices continued their steady rise. The median price for a single-family home in Palm Beach County was $325,000 in January, a 4.8 percent increase. The median price for a condo/townhouse was $170,000, up a whopping 13.3 percent.